Our 100% traditionally stoneground wholemeal flours are milled at the little mill on the banks of the River Nore in Bennettsbridge, Co. Kilkenny. We use local Irish grain and our flours are true wholemeals, meaning they contain nothing but the wholegrain and all its natural goodness. Whether it’s being featured on the menu during the Queen’s visit to Ireland in 2011, or winning a coveted Eurotoque Award, our wholemeals are loved by bakers and chefs throughout the world for their unique flavours and quality. Our 100% traditionally stoneground wholemeal flours are milled at the Kells‘ Little Mill on the banks of the river Nore in Bennettsbridge, Co Kilkenny. We use local Irish grain and our flours are true wholemeals, meaning they contain nothing but the wholegrain and all its natural goodness. Perfect for making soda bread, this fine 100% stoneground wholemeal flour made in the traditional way on mill stones, has a protein content of 9.5%–10.5%. It can be used on its own or blended with flour and is also suitable for biscuits, pastries and cakes. 100% stoneground wholemeal flour, which is perfect for a traditional soda bread when blended with white flour to give it a coarse, nutty texture. Protein content of 9.5%–10.5%. A distinctive, nutty flavour sets our traditionally stoneground wholemeals apart from modern wholemeals and this flour gives a delicious coarse textured soda bread. It has a protein content of 9.5%–10.5%. Made on a set of roller mills to give a large-grained, distinctive bran, this 100% stoneground wholemeal flour is perfect for making soda bread. It needs to be blended with white flour to support its coarse structure and has a protein content of 9.5% to 10.5%. Made on a set of roller mills, this is a very coarse 100% stoneground wholemeal flour. Perfect of making soda bread, it has a protein content of 9.5% to 10.5%. A new addition to our stoneground wholemeal family, Annameal was developed with convenience in mind and uses a 50/50 ratio of wholemeal to plain flour to produce high-quality soda bread. It provides a good white flour base with all the characteristics of a real wholemeal and has a protein content of 9.5%–10.5%. A fine wholemeal with bran particles for extra texture and a higher protein content of 11.5%–12.5%, this 100% stoneground wholemeal flour is perfect for yeasted brown breads and rolls. A blend of wheat ground to a medium cut, suitable for all types of wholemeal breads. With a higher protein and gluten content of 11.5% – 12.5%, it’s perfect for making yeasted brown bread and rolls. A finer ground version of our 100% stoneground wholemeal flour with a higher protein and gluten content of 11.5% – 12.5%. Like all our wholemeals, it is a 100% natural product and contains the wholegrain, which retains all the vitamins and oils. Created especially for the Irish bakery market, our excellent quality, white self-raising flour blend contains baking powder and culinary wheat flour. 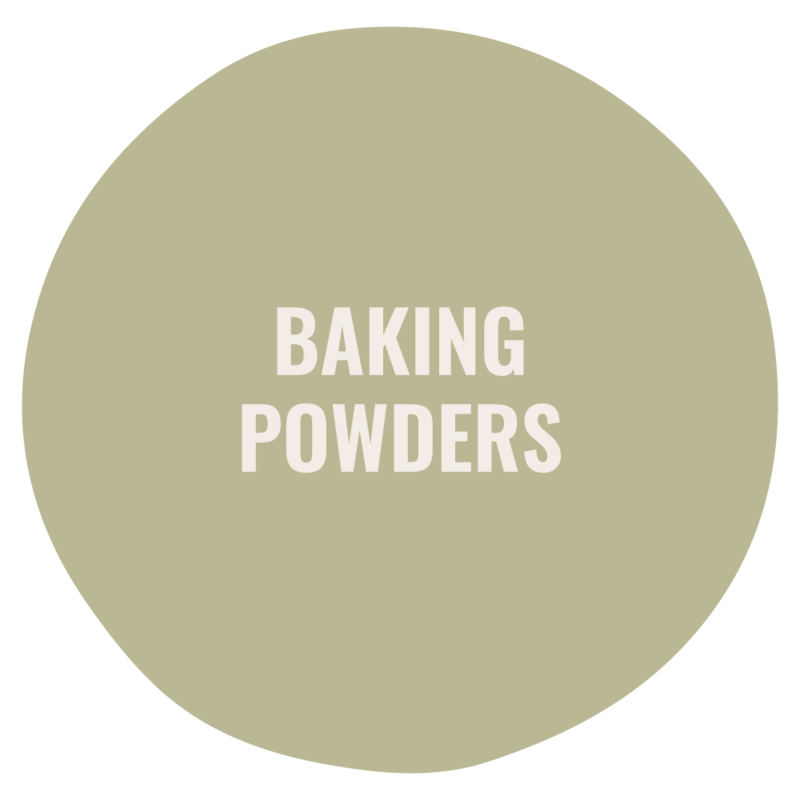 It’s a powerful self-raising flour blend with no added colours, flavours or preservatives. This is a premium quality general purpose white plain flour with a protein content of 9.5%. It’s ideal for short pastry and biscuit type products as well as traditional sponge cake, soda bread and scones. This premium quality, white self-raising flour is ideal for scones, cakes, muffins, sponge and soda bread. A very popular premium quality white breadmaking flour. Containing ascorbic acid, it can be used for both ‘no time’ and short fermentation processes. With a protein content of 11.5%–12.5%, it’s suitable for tinned breads, oven bottom or sole baked crusty breads, French sticks, rolls, morning goods, puff pastry and soda breads. This very white patent breadmaking flour is free from ascorbic acid making it suitable for long and short fermentation. Containing a high proportion of Canadian wheat with a protein content of 12.5%–13.5%, it’s suitable for tinned bread, oven bottom breads, ciabatta, French sticks and rolls. This premium quality, wholemeal flour is 100% stoneground. Containing a high proportion of Canadian wheat, it’s ideal for yeast bread as well as soda bread recipes. Suitable for tin breads, oven bottom or sole baked crusty bread and rolls, it has a protein content of 12.5%–13.5%. Ideal for yeast breadmaking in no time dough processes, this premium quality brown flour is roller milled with large bran particles and is an excellent brown soda bread flour. Suitable for tin breads, oven bottom or sole baked crusty bread and rolls, it has a protein content of 12.5%–13.5%. Ideal for confectionery and pâtisserie baking, the T45 pâtisserie flour is the whitest French flour we stock. It has a protein content of 10.5% and can also be used in breadmaking. T55 Mie Blanche has a 10.5%–12% protein content and is suitable for breadmaking and some confectionery. Approved to make authentic ‘French bread’ under French 1993 regulations, this flour is untreated and suitable for long and short fermentation breads. It is mainly used for bread making but can also be used in confectionery, puff pastry, Danish pastry and croissants. Similar to Mie Blanche, T55 Special IU is suitable for breadmaking, some cakes, puff pastry, Danish pastry and croissants. Perfect for making baguettes, T65 Baguette du Mitron flour is a white flour with a slightly darker colour than the other French flours. Perfect for making baguettes and yeast breads, this white flour has a slightly darker colour than T55. Label Rouge flour is produced to CRC standards, which is a French method of producing high-quality cereals with proven provenance, good for both the consumer and the environment. Premium grade Organic flour suitable for yeast breads, baguettes and long fermentation sourdough breads. This flour complies with EU regulations on organic products. Our top quality malted grain flour contains a high proportion of malted wheat and barley products on a wheat flour base. It can be used to make malted grain breads with a distinctive nutty taste and aroma and with a grain content that gives extra texture and a slightly brown crumb. Our premium multispeed flour is made with a high-quality wheat flour base containing a 20% blend of kibbled malt, brown linseed, sunflower seeds, millet and pinhead oats. Perfect for cake making, this hi-ratio flour allows a large amount of sugar and liquid to be used in the recipe to create cakes that are sweeter and moist to eat and stay softer for longer. Spelt is an ancient grain that has been cultivated for centuries. It gives a nutty, slightly sweet flavour and a lighter texture to breads. It is growing in popularity as a wheat alternative. We offer both white and wholemeal varieties. In a first for Kells, we are milling white flour using our stoneground method. The spelt is stone milled and then separated by sieving so that the essential oils and flavours from the wheat germ are retained, resulting in a very versatile flour with a fantastic flavour. Suitable for a wide range of cakes, soda breads, yeast breads and pastry. Our Native Spelt Wholemeal Plùr is made from Irish grown spelt, grown locally here in Kilkenny, which is milled using our traditional stoneground method that we have been using for generations. The spelt passes through three sets of millstones, which delivers just the right amount of heat, to provide an excellent flour with a lovely nutty, stoneground flavour. This medium grade wholemeal flour is perfect for making soda and yeasted breads. 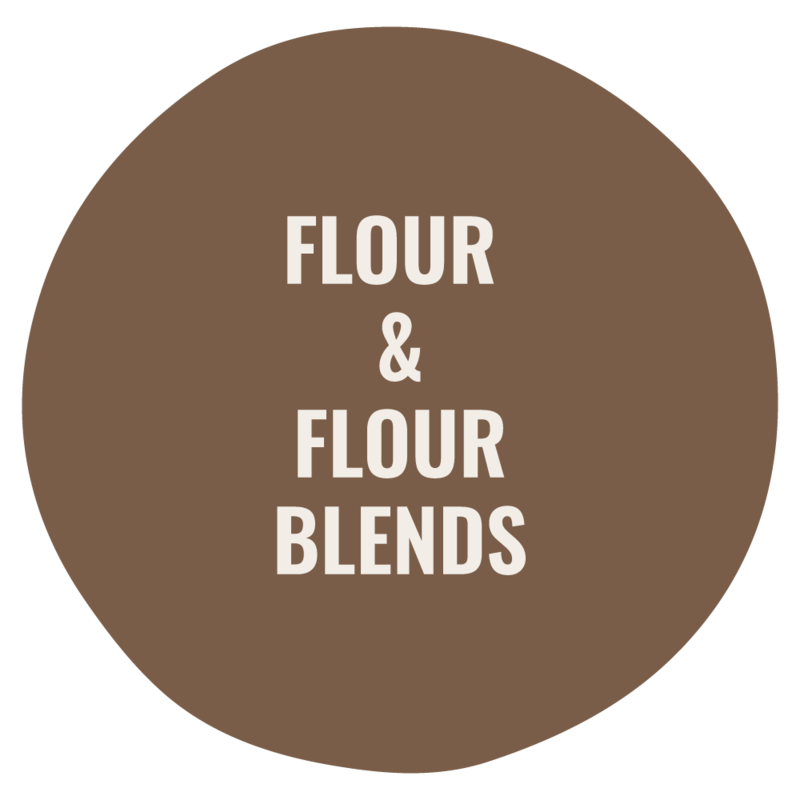 We offer two varieties of rye flour – light or dark. Both give a dense, richly flavoured bread as an increasingly popular alternative to wheat flour. Our special rolled wheat has the fine flour and semolina removed and is an ideal topping for bread and rolls. These medium-sized chips of wheat are ideal to add to bread or use as a topping. This wheat is just cracked and includes some whole grains for a tasty addition to bread or as a very coarse topping.